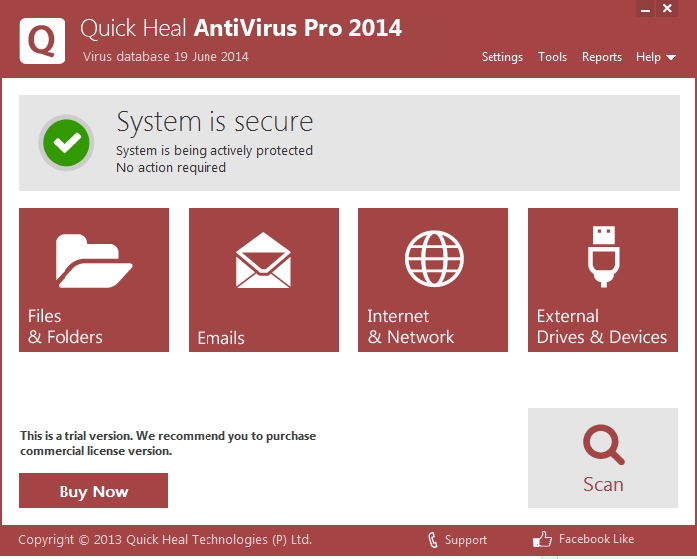 Quick Heal Pro 2014 may not be as popular as other antivirus vendor, but it’s worth to try. For we all know, that good antivirus doesn’t necessarily to be the number one or the most popular. So, I decided to download Quick Heal Pro 2014. The download manager is fast to download given with its cute size of 505 KB. The installer, however, is quite long to download, it’s about 15 to 20 minutes, but it all depends on your internet connection. The installation is a bit slow, perhaps it is due to the size. After the installation, Quick Heal Pro will have a total size of more than 700 MB on your hard drive. Quite big for an antivirus. Once the installation is completed, you will have to activate your one month free trial by simply clicking the “activate now” button. A pop up window will appear, just fill up accordingly to get your one month full-featured free trial. This feature is designed mainly for Internet Explorer setting restoration, once infected or modified by malware. This is helpful in protecting your privacy. Run this, after using your computer. It will erase all activity and internet history in your computer. It leaves no traces, of what you have just done. Rootkits are sometimes undetectable by standard antivirus, this is what, these extra features designed for. It will scan deeply through your PC’s registry and system files, targeting rootkits, detects and removes it from your computer. This is the sort of system back-up purposes. A great help when the situation gets worse. One example is that, when your PC is infected and you can’t do anything because the virus restarts your PC whenever you attempt to remove it or install antivirus. In that situation, Emergency Disk is very helpful. You need to create an Emergency Disk. It can be installed on your flash drive or burn it on a CD/DVD. How to create it? A simple instruction is being provided just click the “Create Emergency Disk” and you are ready to go. 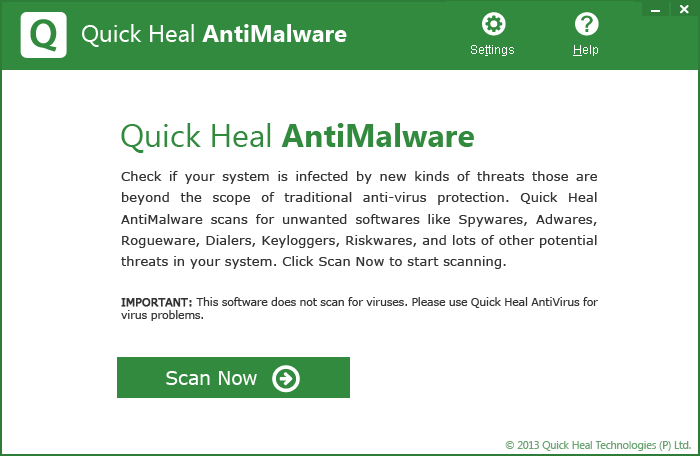 Quick Heal Pro 2014 is also bundled with anti-malware. Its job is to scan and remove unwanted softwares, such as spyware and adware. This is one of the best additions for an antivirus. This is the quick heal pro’s first defense, it scans all removable storage devices, making it sure that no virus can enter your computer via autorun which is very vital. As we all know it is the primary virus carrier. Sometimes, your task manager doesn’t work or prevented by viruses to run, with Quick Heal Pro, it will no longer be a problem. You can now end untrusted processes via Quick heal Pro’s System Explorer if your task manager fails. It is not a Microsoft spy, it’s literal. It refers to any open window in your computer. Quick Heal Pro’s Windows Spy, provides a drag-able-finder-tool, for you to drag and drop to any open window you desire. Then, it gives you an information about that window and an option to kill its processes. To avoid any executable conflicts, quick heal pro provided this exclusion. Just simply type the extensions that you want to be excluded from the scan and click add. Quick Heal Pro Antivirus 2014, also offers, a file and folder exclusion, which is good for gaming folders to avoid unnecessary false alarms. So far, it’s good. I like the USB protection, it really prevents viruses from flash drive or any portable devices before entering your PC. The detection and virus removal rate is above average. I personally tested it for a real virus in our shop and it’s very good. Even to those computers that are heavily infected, Quick heal pro was able to remove stubborn viruses via boot scan. 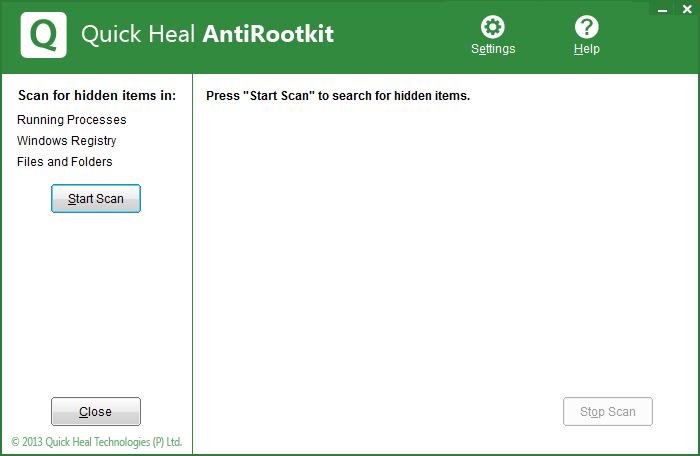 In terms of removal and detection, it seems that Quick Heal Pro impressed me. However, what I don’t like is it’s size, it is so big. The installation is quite slow. Overall, Quick Heal Pro 2014, is really worth trying. Any words for Quick Heal Antivirus Pro? Leave your comments below.